The Amish are members of an Anabaptist Christian denomination. They live in many states of the United States (especially Pennsylvania, Ohio, and Indiana), as well as in Canada, are known for pursuing a simple lifestyle, without the use of most modern technologies. Bott boi - A pie containing a stew made from meat (beef, chicken, ham, or game) with egg noodles, potatoes, and other vegetables. Dandelion salad - A salad made from dandelion greens. The dressing is made from bacon, eggs, cream and butter, and is flavored with sugar, salt, vinegar, and paprika. Sauerkraut und speck - Sauerkraut with pork. Schnitz un knepp - Apple slices with dumplings, made from dried apples with eggs, flour, ham and milk. Scrapple - A mush of pork trimmings with cornmeal and flour. It is also sometimes known as "pawn haas" or "pon haus". Souse - Pickled pig's feet. Bubbat with sausage - Sausages embedded in a cooked dough. Borscht - A soup made from beef, cabbage, potato and tomato. It is flavored with dill. Summer borscht - A variant of the basic borscht recipe, but made with sorrel and garnished with a cold hard-boiled egg. Kielke - Noodles made from flour, eggs and milk. Served with cream gravy, which is made from a mixture of cream, flour and butter. Paska - A sweet bread often eaten at Easter time. Perishky - Soft cookies made with butter, sugar, sour cream, eggs and flour, flavored with lemon juice, and contain jelly. Roll kuchen - A fried dough often eaten on Sunday afternoons. Wareneki - Dumplings filled with fruit, or perhaps cottage cheese. They are served with cream gravy, which is made from a mixture of cream, flour and butter. A sequel to the classic Cooking from Quilt Country presents more than 175 cherished family recipes, ranging from hearty casseroles and main dishes to delectable desserts, set against the backdrop and traditions of Amish life. 50,000 first printing. Tour. bent-but-not-broken family ties to throw him a lifeline. He can’t erase his past, but a sparking attraction with strong, spirited Rosalyn holds the promise of a second chance . . . and of shedding light on shadowy secrets to build a bright tomorrow. Rear cover notes: "This collection contains the current cuisine of one of North America's traditional communal groups. Many of the recipes have been handed down for generations. Food preparation is serious business in a Hutterite colony. Some 85 to 100 people, hard-working adults as well as active children, come to the communal dining room for three meals each day. While their principle of simplicity influences them to create basic and robust dishes, the Hutterites fill their tables plentifully and then enjoy what they eat. Here are original recipes in large quantities for Hutterite dining halls, printed next to adaptations of each recipe for average-sized households. Included also are weekly menus, menus for special occasions, notes on the role of food among the Hutterites and a brief introduction to these unusual communities." Many people no longer have time to entertain and cook for large groups of people in their homes. Hence, the growing interest in potlucks, fellowship meals and carry-in dinners. Here are 800 recipes ranging from Sweet and Sour Baked Beans to Amish Vanilla Pie, perfect for sharing with friends at home or at church. 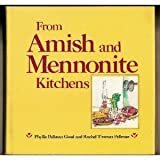 Amish and Mennonite cooking feeds the soul as well as the body. The delicious, traditional recipes in this very popular collection produce dishes that are sturdy and basic, yet full of flavor, affection, and warm memories. 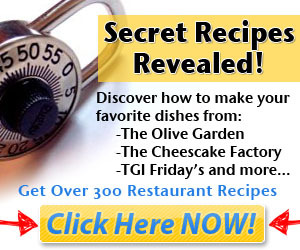 Here are easy-to-follow, from-scratch recipes for breads, soups, salads, vegetables, meats and main dishes, casseroles, pies, cakes, cookies, and desserts, as well as jams, jellies, and relishes, candies, beverages, and snacks.